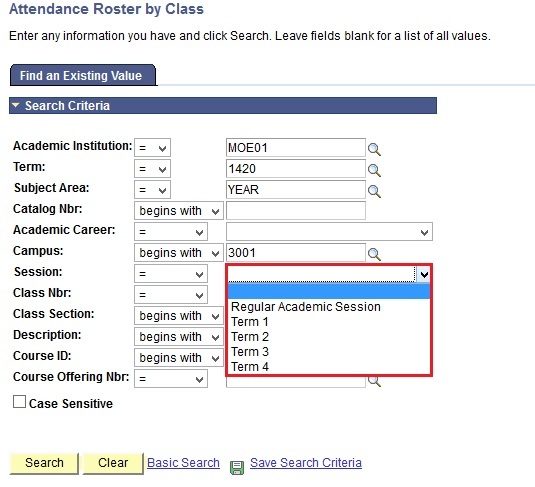 This function allows the users to view the Class Attendance Rosters for Past Terms. 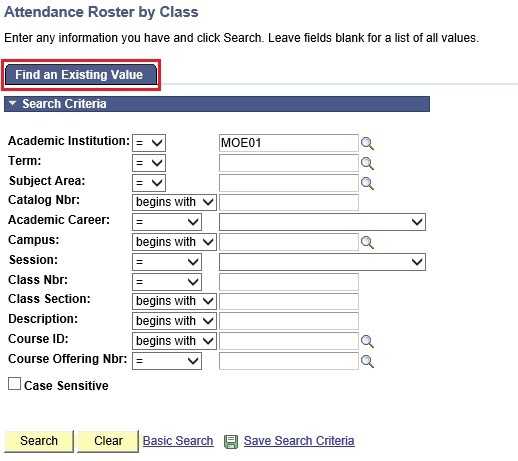 To search for the attendance roster, click on the Find an Existing Value tab. 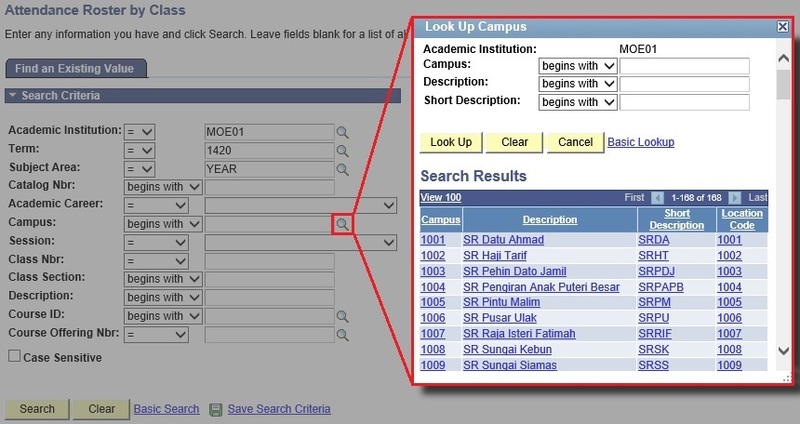 Click on the lookup icon to search for the Term for which the attendance roster belongs to. This should be a past term. 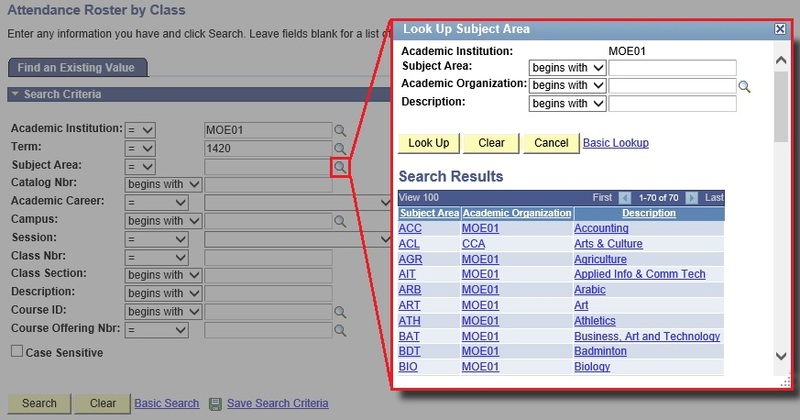 For the Class Attendance Roster, the Subject Area to select is ‘Year’ and for the Subject Attendance Roster, the Subject Area to select is the specific subject, e.g. BML (Bahasa Melayu). Click on the Session dropdown list. For Pre-School and Primary School, select among Term 1, Term 2, Term 3 and Term 4 values. For other Careers, select Regular Academic Session. Enter the Class Section of the class. 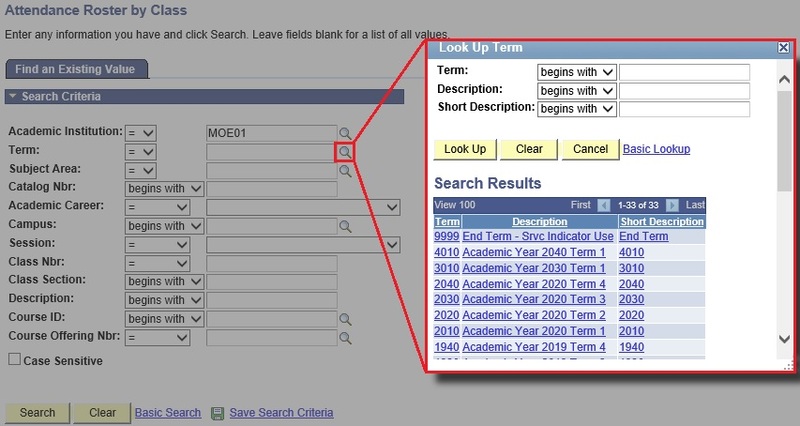 Click on View button to view the attendance marked for the past term. For the past terms, the Generate and Create buttons will be disabled and all the editable options are disabled. 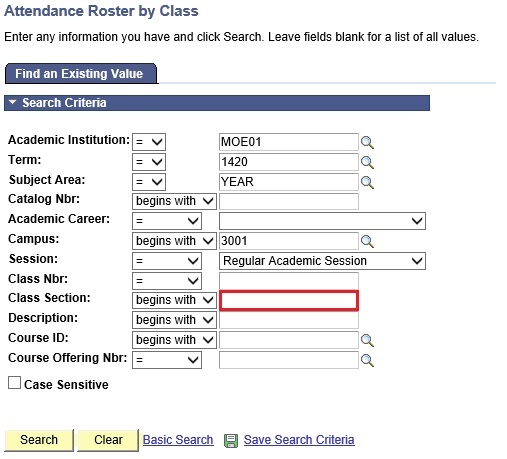 The Attendance Date, From Time and To Time cannot be updated and the option to add or remove a class meeting dates is also removed. No attendance can be marked against the previous dates, the Updated? checkbox is disabled. 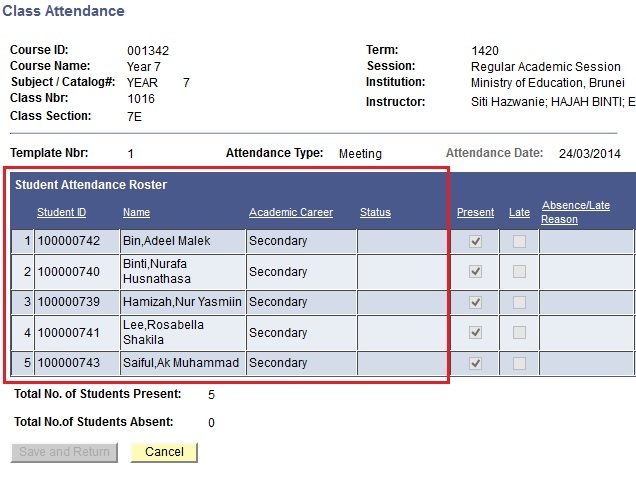 Therefore, the option to mark attendance is not available to teachers for past terms. The Class Teacher and Subject Teacher can only view the attendance marked for the past terms.